President Uhuru Kenyatta has flagged off the third batch of vehicles which have been part of the vehicles acquired through government’s leasing programme. 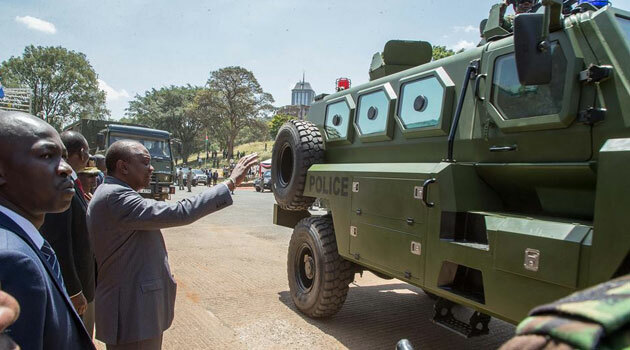 The event that took place at Uhuru Park, saw over 500 police vehicles distributed to various police departments. Some of the vehicles have been leased through Vehicle and Equipment Leasing Limited (VAELL), the leasing market leader in Eastern and Central Africa. Since 2013, the government has leased 2,720 police vehicles in a move aimed at cutting costs and improving police mobility in their daily operations within the country. Mogire John, VAELL’s head of Business development, said that over a decade ago, the government, corporates and SMEs have ventured into leasing arrangements which enables them to concentrate on their core business, cut business operational costs and increase efficiency in their day to day operations. Speaking to the media, Mogire has encouraged county governments to emulate the national government in leasing of vehicles, medical equipment, construction equipment, as well as agricultural implements. VAELL has rolled out a single lease platform cover of 7 countries which enables multinational corporates to connect all their leasing services through one contact point. In addition, VAELL has the capacity to offer leasing services in over 20 other countries in Africa through off-shore structures.